How do Hybrids perform in winter time? You’ll be pleased to hear that driving a Toyota Hybrid in winter is the same as driving a conventional car in winter. A benefit of our self-charging Hybrid system is that it controls itself, switching seamlessly between electric drive and petrol power, and because all Toyota Hybrids are automatic, there’s nothing complicated for you to worry about when the temperature falls. 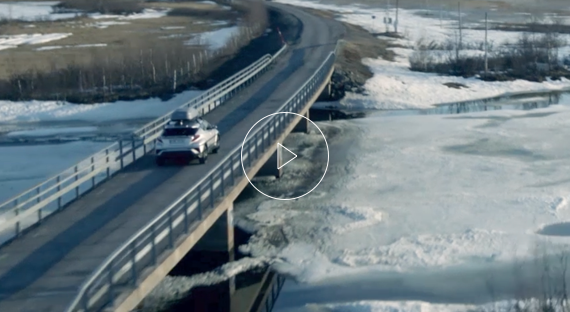 For peace of mind, new Toyota Hybrids are equipped with Traction Control and Vehicle Stability Control systems, which help to maintain traction and control on slippery or icy road surfaces. If you want a Hybrid to perform in more extreme conditions, Toyota offers Hybrid all-wheel drive (AWD) models, from the RAV4 Hybrid to the 2019 Prius AWD, that add a second, rear-mounted electric motor to power the rear wheels, for enhanced grip and stability in all conditions. Still have questions like how do Hybrids perform in winter time? Discover the answers to other popular Hybrid questions below or find the best Hybrid for you in our range. Are Hybrids fun to drive? Are Hybrids more difficult to drive? Are Hybrids OK for highway driving? Are Hybrids capable of AWD?